#L1 - Charcoal With White Chalk Highlights14x11 inches. #L2 - Oil on Canvas 14x11 inches. #L3 - Mixed Media on Canvas 30x15 inches. #L4 - Oil on Canvas 24x12 inches. #L5 - Charcoal with White Chalk Highlights15x19 inches. #L6 - Oil on Canvas 24x12 inches. #L7 - Charcoal & Conte19x15 inches. #L8 - Oil on Canvas 16x12 inches. #L9 - Mixed Media on Canvas 20x10 inches. 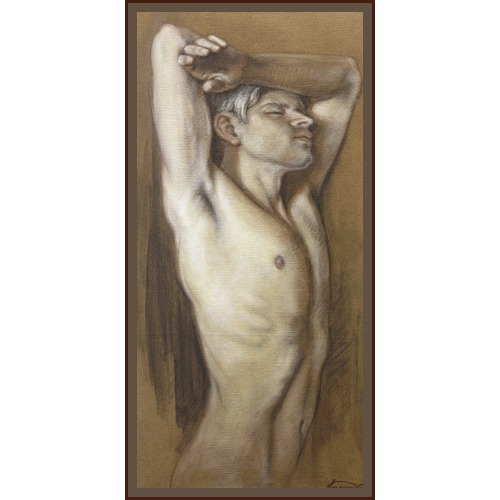 #L10 - Conte with White Chalk Highlights 13x19 inches. #L11 - Oil on Canvas 12x16 inches. #L12 - Oil on Canvas 16x20 inches. #L13 - Oil on Canvas 12X16 inches. #L14 - Charcoal & Conte14X19 inches. #L15 - Trois Crayons12X16 inches. #L16 - Charcoal & Conte15X19 inches. #L17 - Charcoal with White Chalk Highlights 19X13 inches. #L19 -Charcoal with White Chalk Highlights 19X13 inches. #L20 - Conte 13x19 inches. #L21 - Conte 11x14 inches. 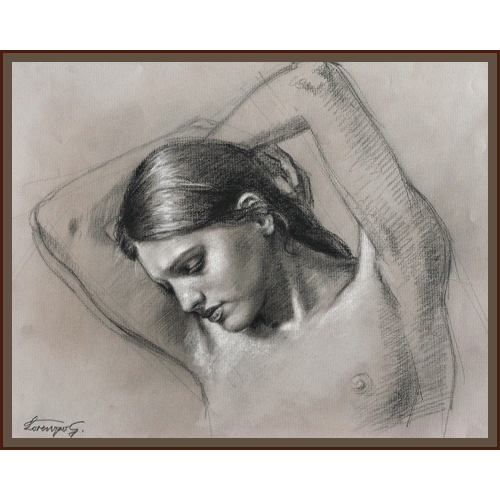 #L22 - Charcoal 15x22 1/2 inches. #L23 - Conte with White Chalk Highlights 13x19 inches. #L24 - Conte 11x14 inches. #L25 - Oil on Canvas 11x5 inches. #L26 - Oil on Canvas12x9 inches. #L27 - Charcoal with White Chalk Highlights 20x14 inches. #L28 - Mixed Media on Canvas 30x15 inches. #L29 - Oil on Canvas 11x14 inches. #L30 - Oil on Canvas 12x18 inches.